Dedede would be one of the last bosses. I just need to commission someone to make a tribal remix of King Dedede's theme. Plus the Wheelies would look like the first stone wheels. So we got a bit more information about the new Kirby games coming next year in the recent Nintendo Direct. 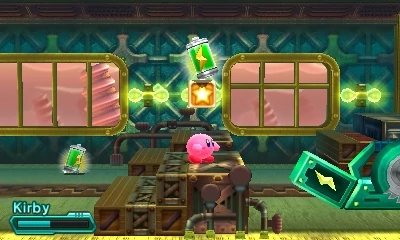 First up, we have the announcement of Kirby: Battle Royale on the 3DS. 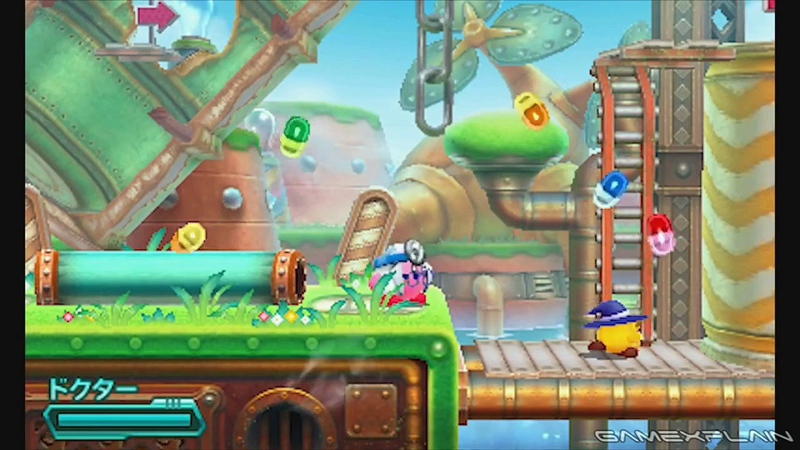 We knew that we were getting another 3DS Kirby thing, but I honestly didn't expect it to be a full game. When I first saw this, I was a bit confused and didn't quite get what made it different from Kirby Fighters Deluxe. Then, as I was rewatching it later, I came to a sudden realization. 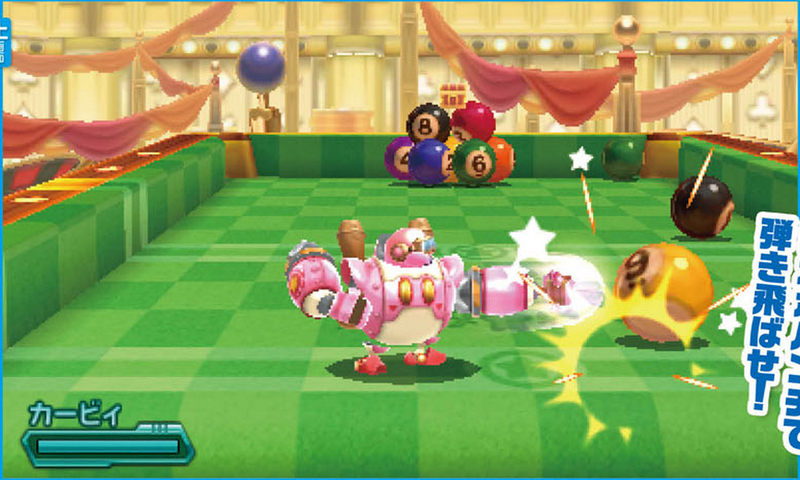 We've never had a mostly fully 3D Kirby game with powers before, and it seems like each ability retains their core ideas while still working in 3D. This is something I've been waiting for a very long time. Blowout Blast was a step in the right direction, but I personally don't think it went far enough. This game is, I think, a potential stepping stone for a full 3D Kirby platformer in the future, which I would be astoundingly okay with. But yeah, Battle Royale seems pretty neat. I like that there's multiple modes, and both online and local capabilities. I'll probably pick this up when it comes out. I honestly like the name. I feel that this game among all games focuses most heavily on co-op, so it's good to see that in the name. On a smaller, much more feasible scale than either of our requests, I'd love to see Yo-Yo come back. Yo-Yo and Mirror were hands down my favorites in SS and SSU. We got Mirror and Jet back in Robobot, so I don't think Yo-Yo is too outlandish a request. I'm glad Clean(ing) is making a return in K18, but I want moooooooore. Overall, I'm excited to see the direction that Kirby is taking in these upcoming games. I think TD and Robobot were good, but their flaws were not straying from the path. Both of these titles show that HAL is willing to experiment a bit, and continue to create games that are fun. In other news, go vote for Yo-Yo your favorite copy ability, and it might make an appearance in Battle Royale! 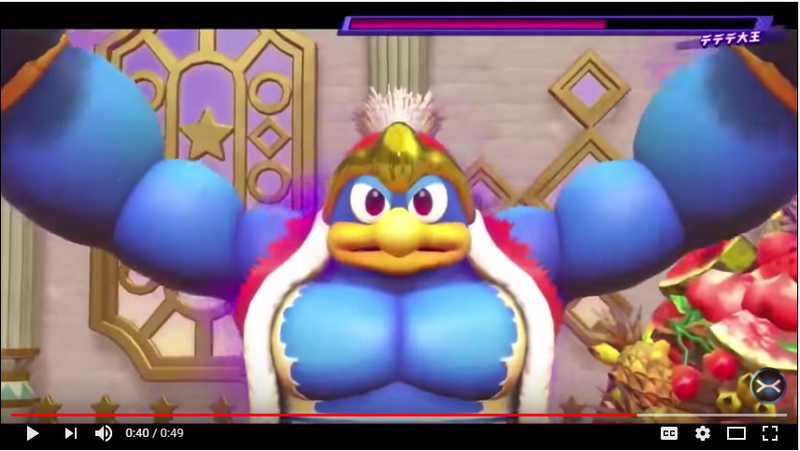 Buff Dedede is the version I didn't know I wanted. Well I told her I wanted to play some songs from kirby. She gave me the sheet music and she asked me what was going on when these songs play in the series. I told her all about it and she thought it was right up her alley. out of curiosity, how old is she? She is probably in her early to mid twenties. ever seen some of the old Kirby commercials? I'm getting some Crystal Shards vibe going. The backgrounds in this game compared to the 3ds games and Return to Dreamland seem kinda bland. Those previous games had all kinds of 3d objects in the background while in the new game its mostly just a background image. I hope that is just because of the footage chosen. I'm super hyped for this game. Not sure I agree. 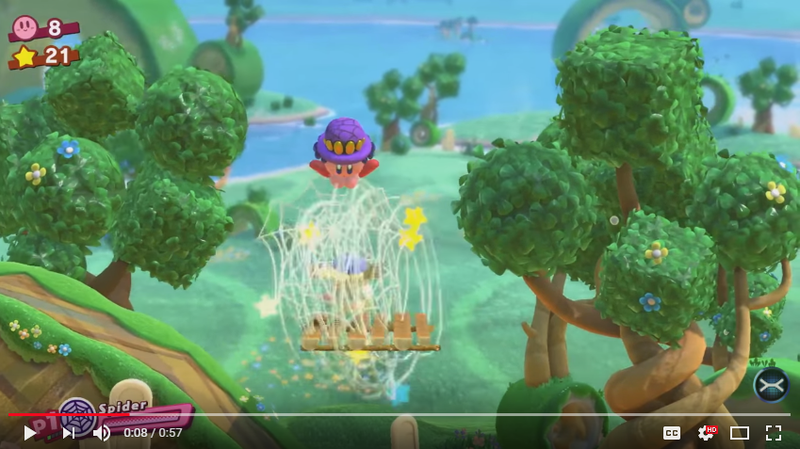 Star Allies has loads of stuff going on in its background, it's just not in the camera's focus. Star Allies' background goes much further back. The difference is that it also has a cinematic flair to it. I'm sure its a case of the trailers having shown very little. Texture wise this game is a HUGE upgrade. just look at meta knight. i think it's more of a case of the separate planes of background and foreground being done away with. I've only played Squeak Squad, Canvas Curse, and Epic Yarn. But I really liked them. I wouldn't be surprised if the final game has a 720p60fps mode like other switch games. the final boss. HOO BOY THE FINAL BOSS. I honestly didn’t think anything could top Robobot’s final boss, but this one does it. the design looks like it belongs in majora’s mask, and the gameplay is unique and fresh for a kirby game. it was also surprisingly difficult. I didn’t die, but I had about 2 HP left by the end of it. I’m sure the boss rush version will be even harder. the overworld. it doesnt seem like such a huge deal to have an open overworld, but it is. it grounds you so much, and makes it feel like the levels exist in a world rather than a void behind a door. it’s especially cool once you get to later levels. gives a real sense of progression. there’s other stuff, but i think i’ll save that for a full review once i 100% the game and get a full opinion. 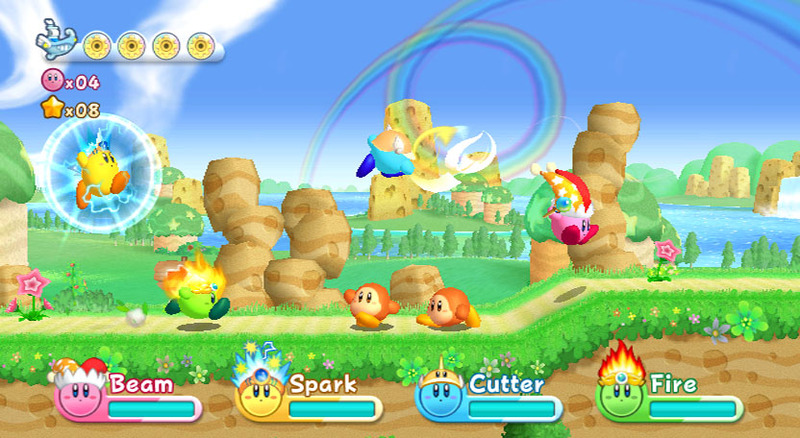 overall, i’d speak very positively about star allies. it’s not the best kirby game out there, and it’s not as redefining as odyssey or botw. but it is a good game, and thats good enough for me.